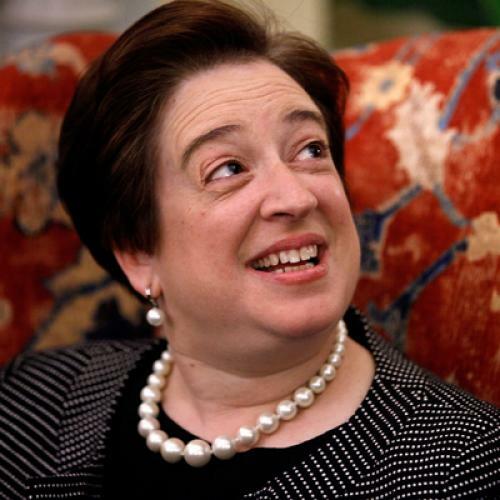 What Makes Elena Kagan Tick? When the Supreme Court nominee was my boss. People who complain about Max Baucus seem to forget that not so long ago the likes of James Inhofe chaired Senate committees. And if you worked in a Democratic administration, those folks made your job a tough slog. Back in the Clinton White House, I was a middling staffer on the Domestic Policy Council, working on issues ranging from the adoption tax credit to media violence and its effect on children. One of my bosses, as it happens, was Elena Kagan. And I had pretty good vantage for watching her as she crafted policy that could survive those political times. Policymaking is a series of trade-offs. The best course of action is often not very salable, so you negotiate between the ideal and the practical. Elena was especially skilled at leading us through these tricky decisions. She was extremely adept at finding the sweet spot where you find an idea that actually works and makes sense to the press and the public. Just as she’ll have to craft Supreme Court decisions in an era dominated by Republican appointees, she knew how to craft policy for an era dominated by a Republican congress. As we developed policies for the president around child care and after-school programs, we constantly wrestled with the eternal questions of whether the government should provide direct subsidies to low-income people, those most in need of government assistance, or tax credits that go to those more firmly in the middle class, who can help build support for a program? Or both? Elena, for instance, championed tax credits for parents who stayed at home as part of the president’s child-care initiative. She thought it was the right thing to do. If government was going to give credits to those who worked outside the home, then fairness dictated that we give it to those who stayed at home, too. If this policy made the package more politically palatable to opponents, all the better. While she had a gift for thinking through policy in a way that the public, press and the Congress could understand and find persuasive, she was also scrupulous about judging its effectiveness. Her lawyerly skills allowed her to probe hard for weaknesses in an argument or proposal. The policy initiative I worked on most with Elena at the White House was President Clinton’s child care initiative, a then-historic $20 billion investment in child care, after school, Head Start, and early learning. That’s why I find arguments by some that have criticized the president for not selecting a mother to the Supreme Court so ridiculous. There seems to be a notion that a single woman can’t represent the interests of mothers. Frankly, there were plenty of Republican members of Congress who happened to be mothers, who didn’t lift a finger to help mothers balance work and family. Now that I’m a mom, I know Elena got it because what mattered to her was drafting policies that made a concrete difference in the lives of children and helped working parents with their most important obligation. In my experience, Elena was always open to different arguments. She was always a fair arbiter, ensuring all voices were heard. And when it was her job to promote President Clinton’s progressive agenda, she was a fearless fighter. Not bad experiences for a Supreme Court justice.